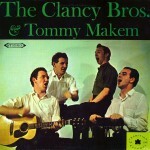 Home » Posts tagged "Folk Music Friday"
Today on Folk Music Friday we’re swinging back to the traditional side of the spectrum, with the Clancy Brothers and Tommy Makem. This is a video of their Late Late Show appearance from 1984, right before they launched into their reunion tour. The first minute or so provides context for who they were and what they meant on a global and national scale, and the impact they had on resuscitating the Irish folk music scene in the 1960s and ’70s. There’s also an extended interview which covers their early history, including the origins of the now-iconic sweaters, and commentary by other folk musicians about their impact. Today on Folk Music Friday: ALL FIDDLES ALL THE TIME. Laghdú, which translates as “a lessening, a decrease, a reduction,” is Caoimhín Ó Raghallaigh and Dan Trueman‘s debut record. Both of them are accomplished solo artists; Ó Raghallaigh is also a member of The Gloaming and This Is How We Fly, and Truman, a professor of music at Princeton University, also recently collaborated with Adam Sliwinski and So Percussion. On this record, they both play a 10 string instrument that is a cross between a Norwegian Hardanger fiddle and a viola d’amore. And as fiddle music goes, their tunes are unusual – experimental, even, in shape, structure and texture. 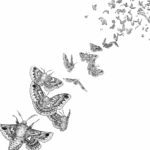 The sounds are bold, sometimes hovering on the edge of irritating, but ultimately compelling; the songs expand, contract, and loop back and forth in intriguing ways. While the tracks can be absorbed individually, I very strongly suggest listening to the whole thing straight through for a more immersive experience. Ok, I’ll explain: it’s old fashioned Norwegian fiddle music crossed with the finest in ogre-roar metal, and it is glorious. I mean, I love fiddle music and I love ogre-roar, so long as the doom is properly leavened, and in this case the folk elements shine like bright ribbons on a dark tapestry. It is sweeping, majestic, overwhelming and boneshaking, the way ogre-roar metal is supposed to be, at its finest when its power feels inexorable, like pull of the tide going out. It is also chair-shimmy music. The overall tempo is sludgy-but-upbeat; both the fiddle and the drums are played at a breakneck pace, while the guitars expand to fill in the empty spaces, and the result is magnificent. 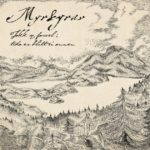 1) This is Myrkgrav’s first full-length record in 10 years. 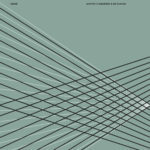 If you’d like to listen to his back catalog, you can find it at his bandcamp, where this record will also eventually live.